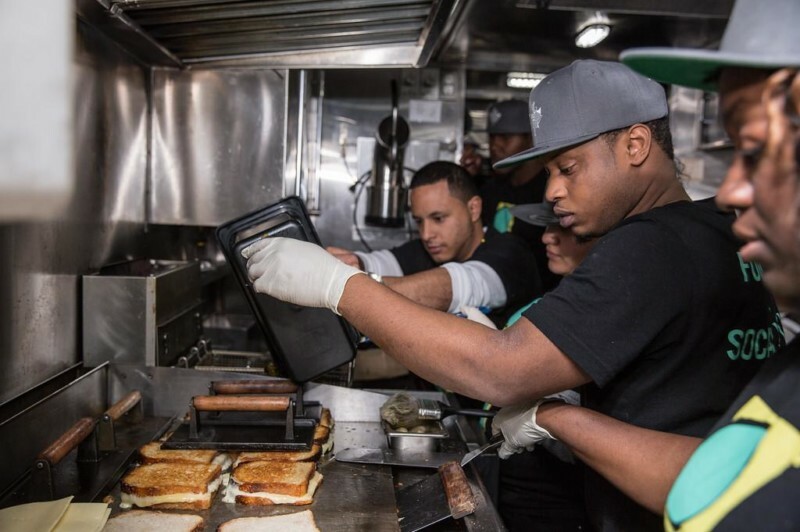 Food trucks staffed with youth returning from prison. Bakers staffed with immigrant women. Green building projects staffed with underemployed workers from vulnerable populations. For the final installment of our four-part live event series, hear from social entrepreneurs who are creating new and innovative pathways to employment right here in New York City. Hosted by WNYC’s Jami Floyd. Jordyn Lexton is a 2015 Echoing Green Fellow and founder of Drive Change, which uses the food truck industry to provide quality employment and teach transferable skill learning to young people returning home from adult jail or prison so they can access opportunity and live crime-free, bright futures. Jessamyn Rodriguez is a 2008 Echoing Green Fellow and founder of Hot Bread Kitchen, which captures lost human capital by bringing women’s traditional bread recipes to market, which builds recognition of the contribution of immigrant communities. Donnel Baird is a 2012 Echoing Green Fellow and founder of BlocPower, which markets, finances and installs solar and energy efficiency technology to help houses of worship, non-profits, small businesses and multifamily projects to slash their energy costs.